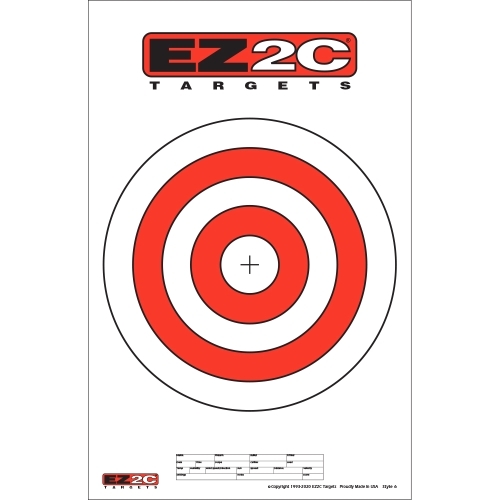 EZ2C targets are Printed on 11"x17" High-Quality Bright White Paper. Targets are Printed with High-Visibility EZ2C Red and Deep Black Inks. EZ2C Targets Come Conveniently Glued and Packaged with 25 or 40 Targets per pad. Targets Can be Combined with Pistol Poker and Mini Targets for Volume Discounts. Volume Discounts Will Be Applied During Checkout!! 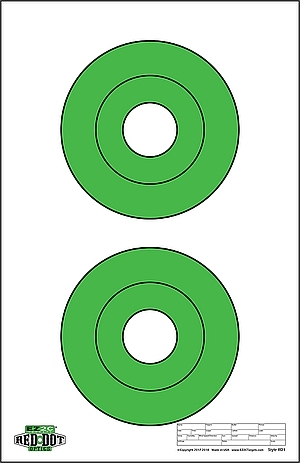 Targets are Printed with High-Visibility EZ2C Green and Deep Black Inks. 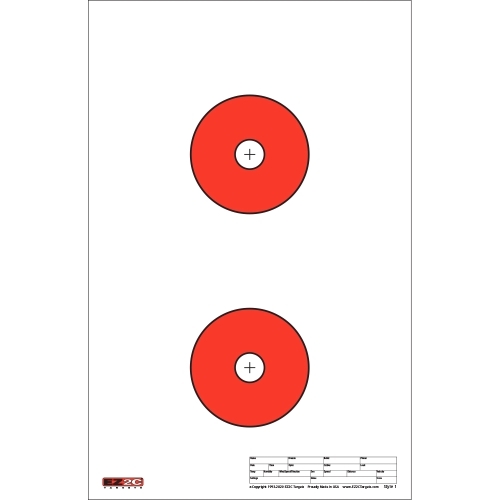 EZ2C Red Dot Optics Targets Come Conveniently Glued and Packaged with 25 Targets per pad. 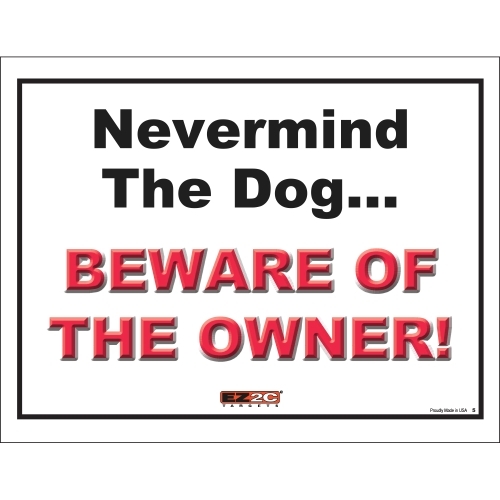 All Mini Targets are Printed on 3 1/2" x 3 1/2" Self-Adhesive Label Stock. They are Printed with High-Visibility EZ2C Red/EZ2C Green and Deep Black Ink. 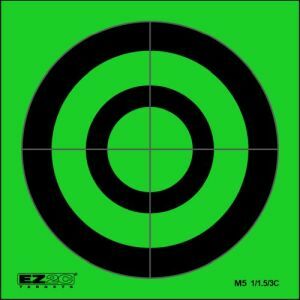 EZ2C Mini Targets are Sold in Packs of 25 Targets each. Mini Targets Can be Combined with Targets and Pistol Poker for Volume Discounts. Mini Targets are On Sale for Limited Time Only!!! 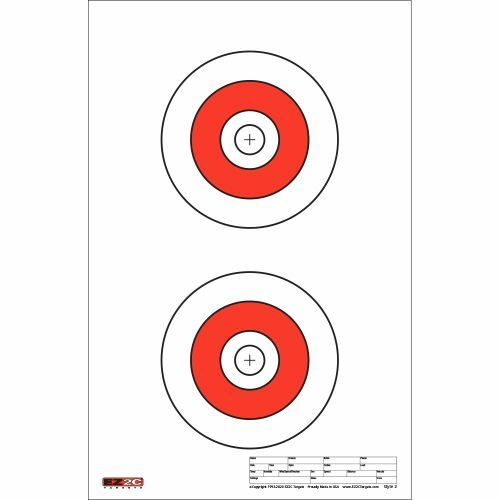 EZ2C Targets are on 11" x 17" High-Quality Bright White Paper. They are Printed with High-Visibility EZ2C Red and Deep Black Inks. EZ2C Targets Come Conveniently Packaged in Glued pads. Play Pistol Poker with Your Friends at the Range. 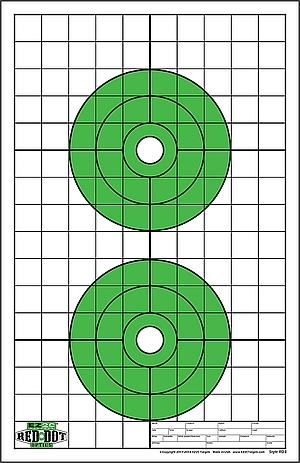 Targets are Double-Sided, Shoot Either Side of the Sheet to Play Open or Blind. There are 20 Different Arrangements of Playing Cards in a Pack. Targets are Printed in Full-Color on 12" x 18" Bright White Paper. Pistol Poker Targets Can be Combined with Targets and Mini Targets for Volume Discounts. Volume Discounts Applied During Checkout!! Waterproof Binoculars Don't Have to be Expensive! Bresser Condor Series Binoculars come in a nice selection of sizes, from the compact yet rugged 32mm models to the larger aperture, super bright 42mm designs. All models are waterproof, have rugged roof prisms, twist-up eyecups, diopter compensation, and are made with BK4 barium-crown glass that is fully multi-coated. A lot of compact binoculars have 25mm optics, but the extra aperture of the Bresser 32mm Condors bring more light to your eyes when you need it, such as when the sun is low or the scene is cast in shadow. The waterproof body not only keeps moisture on the outside, but helps prevent fogging and other water-related mishaps. Another benefit of a waterproof casing is the extra protection it provides against bumps and drops. You can put your Bresser Condor binoculars into your backpack, purse or pocket and go! There are Many Different Politically Incorrect Sayings to Choose From. 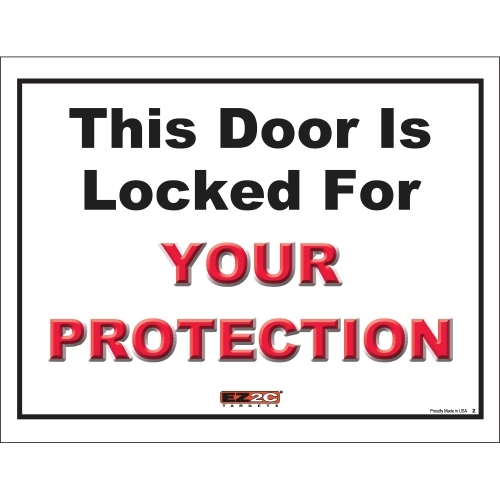 Door Signs are 11" x 8.5" Bright White Stock with Thick Glossy Lamination. 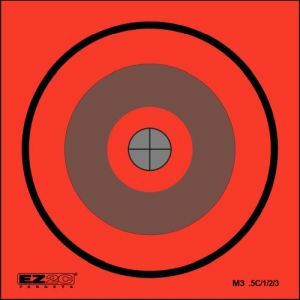 Enjoy two 4" EZ2C Red circles each with a 1" center bullseye. This style is perfect for .22 caliber fun all day long. 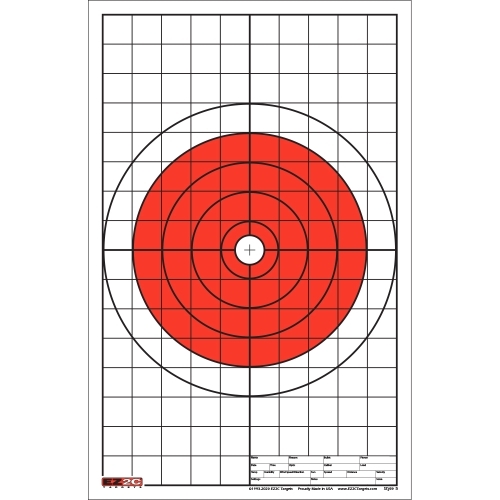 Targets are on 11" x 17" High-Quality Bright White Paper. They are Conveniently Packaged with 40 Paper Targets per Pad. EZ2C Mini Targets are Printed Using Deep Black Ink on Fluorescent Red Self-Adhesive Label Stock. Mini Paper Targets Measure 3.5" x 3.5". They are Sold in Packs of 25 per Style. 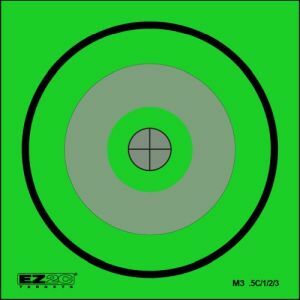 EZ2C Mini Targets are Printed Using Deep Black Ink on Fluorescent Green Self-Adhesive Label Stock. Mini Paper Targets Measure 3.5" x 3.5". They are Sold in Packs of 25 per Style. These paper targets have two 6.5"-4"-2" bullseyes stacked vertically. Aim for the center 2" ring. These targets are optimized for your Red Dot Optics. Targets are on 11" x 17" High-Quality Bright White Paper. 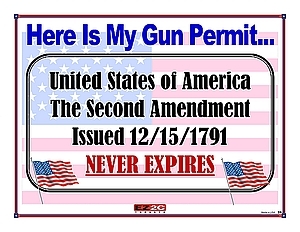 They are Conveniently Packaged with 25 Paper Targets per Pad. These classic paper targets have two 6"-4"-2"-1" bullseye stacked vertically. Aim for the 4" EZ2C Red ring. Targets are on 11" x 17" High-Quality Bright White Paper. They are Conveniently Packaged with 40 Paper Targets per Pad. EZ2C Mini Targets are Printed Using Deep Black Ink on Fluorescent Red Self-Adhesive Label Stock. 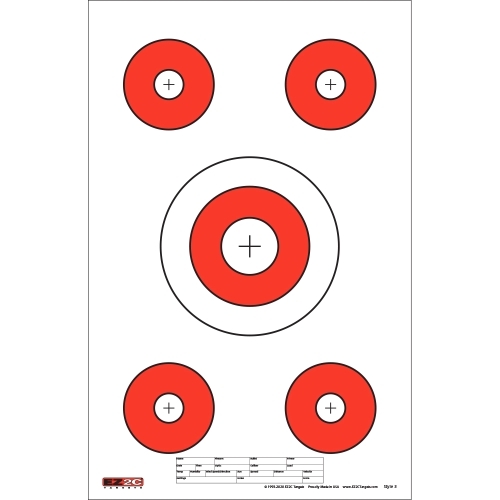 Mini Targets Measure 3.5" x 3.5". They are Sold in Packs of 25 per Style. 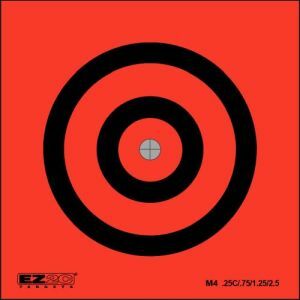 This target truly is EZ2C at over 1,000 feet away using iron sights. See this dead-centered 10"-8"-6"-4"-2"-1" bulls-eye with over 33 square inches of EZ2C Green. It is so beautiful you almost don't want to shoot it. Targets are on 11" x 17" High-Quality Bright White Paper. They are Conveniently Packaged with 25 Paper Targets per Pad. 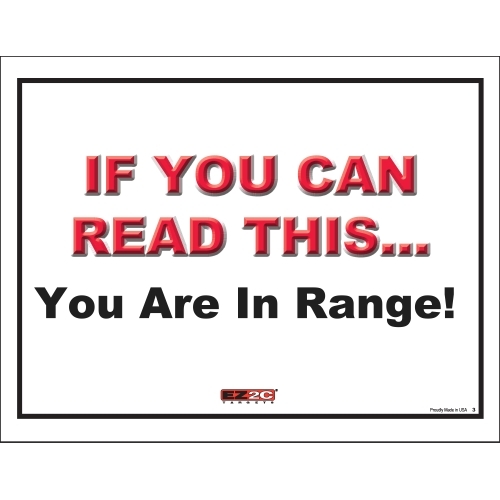 This a most-popular style with five targets per sheet. Shoot at one 6"-4"-2" centered target. Then "call your corner" as you take aim for any of the four corner 3"-1" bulls-eye targets. Targets are on 11" x 17" High-Quality Bright White Paper. They are Conveniently Packaged with 40 Paper Targets per Pad. 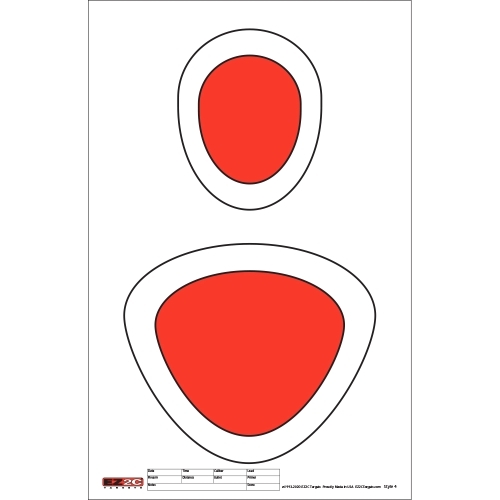 Use these paper targets at 200 yards at your favorite range. Red Dot Optics Style 3 contains two 6" targets with 1" Bulls-eyes for easy targeting. Targets are on 11" x 17" High-Quality Bright White Paper. 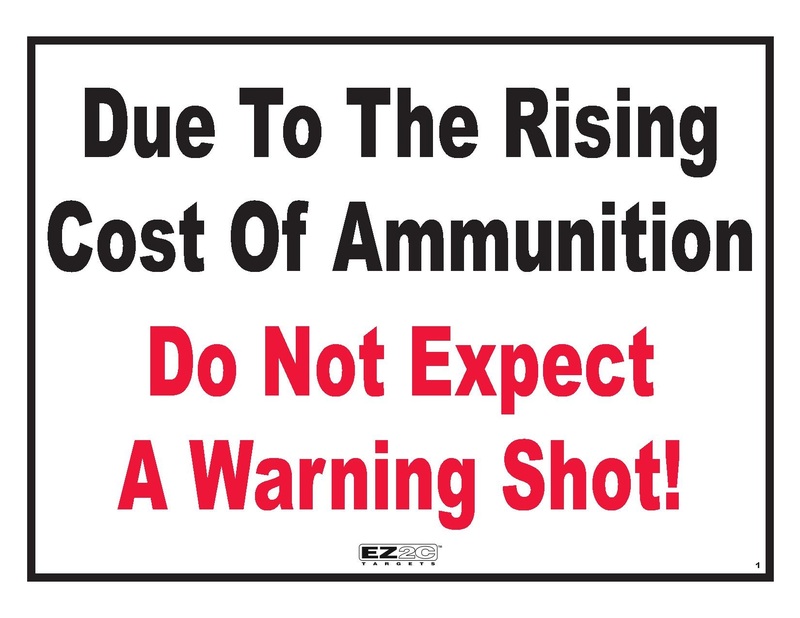 They are Conveniently Packaged with 25 Paper Targets per Pad. 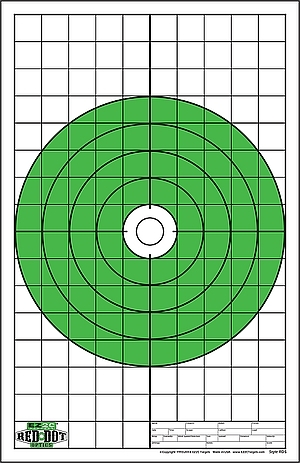 Use this head and center mass target at any range. Targets are on 11" x 17" High-Quality Bright White Paper. They are Conveniently Packaged with 40 Paper Targets per Pad. Use this head and center mass target at any range. Targets are on 11" x 17" High-Quality Bright White Paper. They are Conveniently Packaged with 25 Paper Targets per Pad. This is EZ2C's best combination target for both rifle and/or pistol. 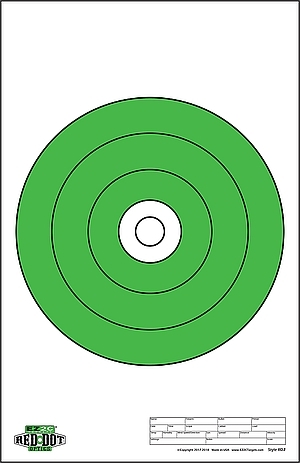 One 10"-8"-6"-4"-2"-1" bulls-eye is centered on a 10" x 16" grid. 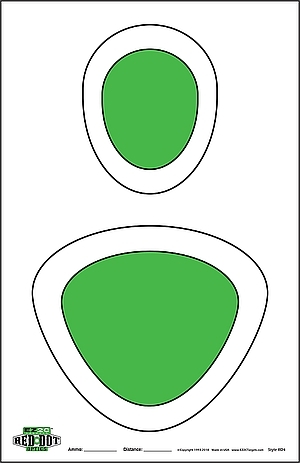 Both horizontal and vertical center lines are thickened for sighting in. Targets are on 11" x 17" High-Quality Bright White Paper. They are Conveniently Packaged with 40 Paper Targets per Pad. 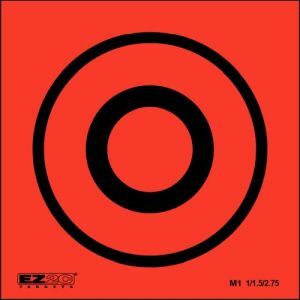 This is EZ2C's best combination target for both rifle and/or pistol. One 10"-8"-6"-4"-2"-1" bulls-eye is centered on a 10" x 16" grid. Both horizontal and vertical center lines are thickened.. Targets are on 11" x 17" High-Quality Bright White Paper. They are Conveniently Packaged with 25 Paper Targets per Pad. This is a great multi-purpose target with a dead-centered 10"-8"-6"-4"-2" bullseye. Sportsmen love this for archery, Airsoft or any type of firearm. Targets are on 11" x 17" High-Quality Bright White Paper. They are Conveniently Packaged with 40 Targets per Pad.